Meet Ginger! 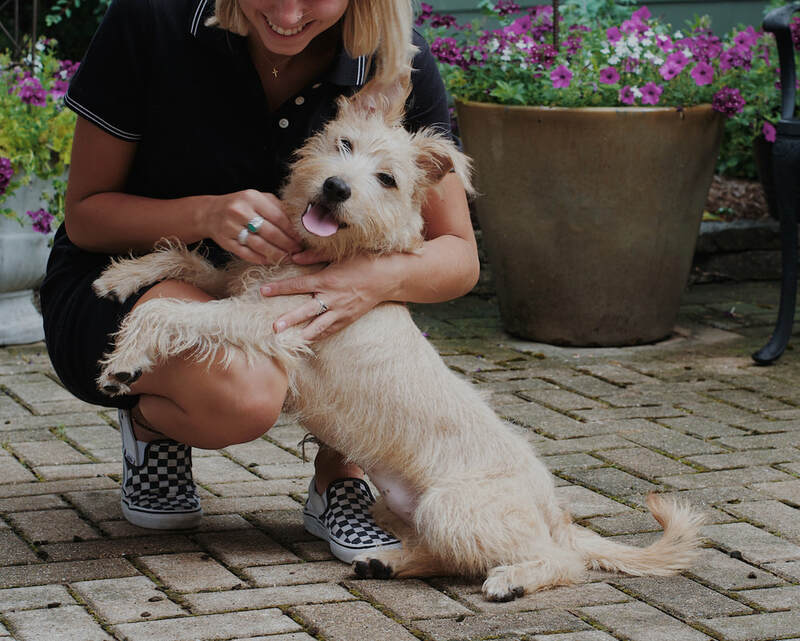 Ginger is a 1.5 year old terrier mix who weighs 24 pounds. She is a lovable, goofy girl looking for a forever home! Ginger needs an experienced adopter who can teach her manners and doesn’t mind her puppy energy. She is extremely social and loves everyone she meets (people and dogs). Ginger would do well in a home with another high energy dog who could show her the ropes and who would love to play. She would also do well as a solo dog with frequent doggie play dates. She is crate trained and loves to snuggle in bed with her foster mom. Ginger's is looking for a forever family who is patient and willing to work with her on training, someone who enjoys long walks, loves to cuddle and go on adventures! If you are interested in meeting our sweet Ginger please fill out an adoption application at www.babyandbuddy.org or email sam@babyandbuddy.org with any questions. To meet this handsome guy fill out an application or e-mail us.